There are over 20 Light & Peace Christian Schools in the cities and mountain villages of Haiti, and Dayspring is committed to supporting them in every way in order to train up godly Christian men and women to lead Haiti into the future. Dayspring Ministries supports ten primary schools and one secondary school, providing a Christian education for more than 1000 students. Dayspring provides a free lunch program at two Light & Peace Christian schools, and attendance is excellent at both of them! 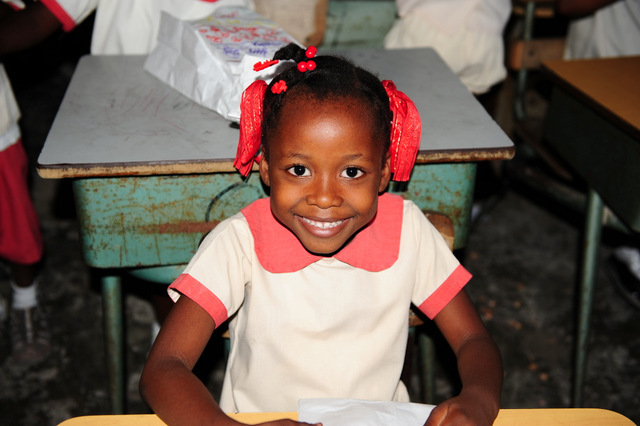 The Light & Peace Christian School in Bon Repos, Haiti, is one of two schools that have a free lunch program. A lunch program provides a large plate of rice and beans with a tomato and onion sauce for each pupil. Too often, this is the only meal some children will receive all day. Haiti’s future lies in the education of its youth. 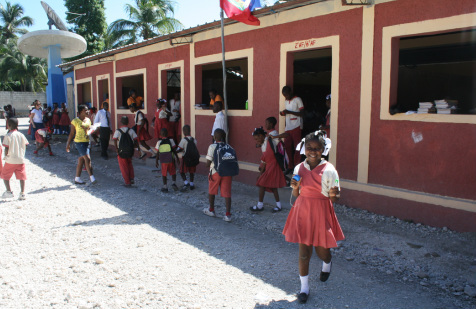 Students at the Bon Repos school can be sponsored through the Child Sponsorship Program. For $35 per month, the child will receive an accredited education and a free lunch. The sponsor will receive regular updates and photos of their child, and with the help of the Internet, they can occasionally communicate. The January 2010 earthquake destroyed over 5,000 schools and universities in Haiti, along with thousands of students who would have been the leaders of tomorrow. It is Dayspring's commitment to raise up Haiti's youth to become godly leaders in their homes, in their churches, in their communities and in their country.